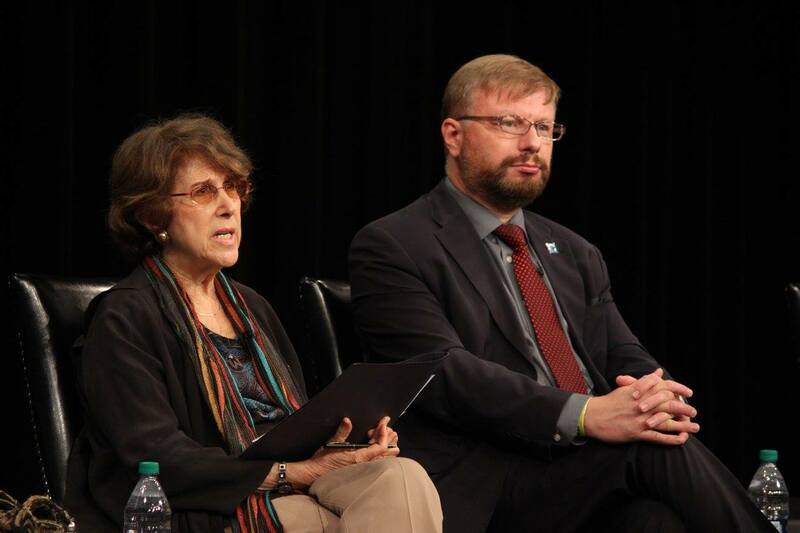 Statement of Roberta Cohen at the Launch of "Hidden Gulag IV: Gender Repression and Prisoner Disappearances" and "Camp 15 Imagery Update"
I find the reports of David Hawk and Joe Bermudez significant because they make everyone so uncomfortable. Most people don’t want to know about the camps, especially diplomats who hope to negotiate with North Korea, humanitarian organizations on the ground seeking to get along with the host government, and all other parties who want to engage with Pyongyang and feel good about their doing so. These reports provide inconvenient information. It puts a human face on the political prison and re-education camps by providing testimonies of survivors, satellite imagery of camps, and for the first time a list of 181 incarcerated prisoners from Kwan-li-so Camp 15. David's report brings to light how women in North Korea are facing particular repression. Most of the North Koreans today who cross the border illegally are women trying to improve their lives and the lives of their families. Increasingly they are arrested, ill-treated and imprisoned. I am pleased the United States recently called for the release of female political prisoners around the world and singled out North Korea. The Hawk and Bermudez reports are also significant because they provide evidence that can be used in future trials against the Kim Jong-un regime. Since the UN Commission of Inquiry report of 2014, the need for accountability has begun to take root. Last year, the United Nations General Assembly called upon the Security Council to consider referring the North Korean human rights situation to the International Criminal Court. It also called for targeted sanctions against those most responsible. And a UN human rights office has been set up in Seoul to compile information with a view to accountability. Accountability is essential to address deliberate state policies of starvation of prisoners, lack of medical attention, forced labor and beatings. Such practices are estimated to have led to over one hundred thousand deaths in the political prison camps over the past 50 years. Yet there seems to be an international reticence when it comes to demanding access to these camps. The United States to its credit began two to three years ago to speak out strongly against the camps and about accountability. And UN resolutions have called upon North Korea to release all political prisoners unconditionally. But one doesn’t hear much about governments coming together to make joint demarches or intercessions on a regular basis for access to these camps. One doesn’t hear a drumbeat internationally to gain entry. But there should be one because camp commanders, the officials issuing the orders to them and those carrying them out, need to become aware that what they are doing constitutes crimes against humanity and could lead to their being brought before a court in the future. South Korean experts have actually reported anecdotal evidence that commanders in some detention centers may have modified practices out of fear of possible future prosecution. Accountability has rattled the Kim Jong-un regime. Last year the focus at the UN on the ICC led the DPRK to offer for the first time visits for the High Commissioner for Human Rights and other UN officials in order to try to remove from a General Assembly resolution the reference to accountability. Of the 181 prisoners listed in the Hawk report, more than 120 are reported to be missing. Their names should be part of dialogues developed with North Korea and part of demarches or statements. Where are these people? It is time for the international community to call for an accounting of prisoners—their whereabouts, the reasons for their incarceration, whether family members are held with them, whether they have perished. The UN General Assembly has called upon states that have relations with North Korea to use their influence to encourage the closure of political prison camps. But no joint strategy yet exists. Contingency plans being developed by different governments to deal with any sudden change in North Korea should include strategies for bringing political prisoners to safety. The UN Commission of Inquiry reported the existence of standing orders at the political prison camps to kill all prisoners in the event of conflict or revolution. The purpose of these orders is to destroy the evidence. While it’s impossible to know whether anything can be done to stop this, publicizing this information is important. And including prisoner protection in contingency planning should be urged. The Atrocities Prevention Board established in the United States in 2012 should have on its agenda as a standing item–the risk of potential massacre of North Korean political prisoners. And the U.S. should begin to add names of persons and entities engaged in serious human rights abuses in the camps to the sanctions list under the President’s executive order of January 2015. NGOs for their part should be sending information to the International Criminal Court. Even though the prosecutor cannot now address the situation, the NGOs can publicize the information with a view to future accountability. This might reach the attention of camp officials and sow doubt among North Korea’s elites. At the present time, the situation is especially precarious for prisoners. Drought is plaguing North Korea and serious food shortages are predicted. In the past when there has been serious malnutrition and starvation in parts of the country, prisoners have suffered disproportionately. They have been left to eat grass and rats. Do international humanitarian agencies and NGOs on the ground have a responsibility? Yes, their stated goal is to reach the most vulnerable in the country. They should begin to compile privately whatever information they can find about starvation and disease in the camps and hammer out strategies to gain entry, in particular for organizations like the International Committee of the Red Cross. North Korea’s population could actually benefit from allowing the World Health Organization entry to the camps. Tuberculosis is on the rise in the country and reported to be rampant in the camps. The WHO has found in other countries that effective TB control in prisons protects the community at large. Shouldn’t the UN encourage the WHO to gain entry to the camps to try to help eradicate TB from the country? And shouldn’t improved treatment of women—another goal of the UN—extend to women prisoners in North Korea? The Secretary-General introduced a Human Rights Up Front Approach in 2013 that calls upon the entire UN system, when faced with serious violations of human rights, to develop a system wide strategy. This approach needs to be applied to North Korea, and HRNK has been calling upon the UN to do so. North Korea’s government must receive the message that the camps in North Korea are a blight on the civilized world and on any aspirations North Korea might have to improve its relationships with other countries and receive the political, economic and investment support it badly needs for its development.